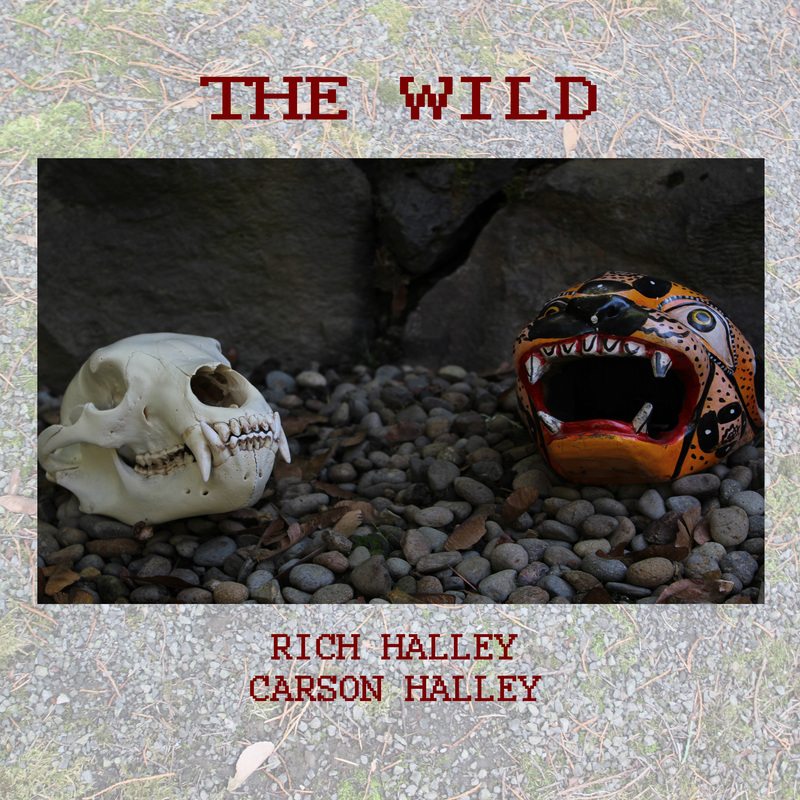 For the last several years, saxophonist Rich Halley has been releasing a steady stream of albums that wander back and forth across the permeable border between modern and free jazz. Here, he teams up with his son and bandmate Carson for ten tracks of sax / drum duos. The fact that Rich and Carson have two decades of experience together is evidenced by the ease at which they belt out these spontaneous compositions. Rich is not a pure outside player, but he has the versatility to play it straight or left of center. Carson is a supple yet powerful percussionist who plays off of his dad’s melodies, accentuating Rich’s angular themes and motifs. That isn’t to say that the duo avoids all sense of a groove, but the vast majority of this album is closer to the Coltrane / Ali Interstellar Space vein than not. Thus, there are no repeated themes or reprises – just flat out improv. Favorite tracks? The aggressive From Memory, and the introspective Snake Eyes. Another solid effort from Oregon’s most notable sax-man. The U.S. presidential election, Brexit, and growing right-wing movements throughout Europe have led to a great deal of consternation, anxiety, and anger. Anger is nothing new for the right, but the degree to which it is now a component of the liberal reaction to these events has not been seen in generations. At times of social unrest, new forms of art and expression are often produced, as artists wrestle with the aforementioned emotions. The question that many of us have had since late last year is how the creative music world would respond to the changes of 2016 and the dark days that follow. Now we have an early answer. According to the liner notes of this release, “[t]he League of Assholes does not exist, there is no league and the participants in this work are not assholes.” In Ogre Ate is a 29-minute single track EP featuring contributions from over 20 individuals. While several of the names are familiar the most well-known contributor is San Francisco sound artist Thomas DiMuzio. And if you are familiar with DiMuzio’s work, you’ll be ready for this album. A sound collage, In Ogre Ate features multiple layers of instrumentation, effects, static, walls of noise, voices, and screaming. Invoking post-industrial hellscapes, the sounds combine to reflect a nervous foreboding. Both melancholy and rageful, the track progresses from more overtly aggressive and harsh structures to an unsettled ambiance, then climaxing with a boiling distemper. The final minute devolves into a brief, twisted guitar, trumpet, and shaker theme. Perhaps the most remarkable thing about In Ogre Ate is how well it works as both protest music as well as an enjoyable piece of dark noise art. Well done. Where Will Music Head Next? John Zorn/Simulacrum Six Trevor Dunn & Sara Serpa! Harriet Tubman [Brandon Ross/Melvin Gibbs/JT Lewis] Wadada Leo Smith! Paquito D’Rivera & the Vitral Sax Quartet! Gary Smulyan! Vitor Goncalves! Glenn Zaleski Trio! Victor Provost! Karl Nyberg & Bone Machine! Harvey Mandel! Davy Mooney/John Ellis/Jon Cowherd/Matt Clohesy/Brian Blade! Seven New Discs from the Neos Label! Krokofant! Skullflower! A Dozen Reissued Gems from Be! Jazz: Albert Mangelsdorff! Irene Schweizer! Brotzmann/Van Hove/Bennink! Tomasz Stanko! Krzysztof Komeda! Dave Pike Set! Eje Thelin and Even More! Plus Archival Discs from Ry Cooder! Little Feat! Eddie Hinton! Nurse with Wound! The Last of the Masada Studio CDs! And Lots More! 6pm: MUSIQUE LIBRE FEMMES QUARTET: CHERYL PYLE / JAMIE BAUM / CLAIRE DALY / CLAIRE de BRUNNER – 2 Flutes, Baritone Sax and Bassoon! Sunday, March 12th: CD Release Set! 6pm: ROB PRICE / BEN GALLINA / ANDY O’NEILL – Guitar/Bass/Drums! 7pm: NICOLAS LETMAN-BURTONOVIC / NICK JOSWIAK BASS TRIO! 6pm: JULIAN KIRSHNER / DAN FANDINO / SAM WEINBERG! 6pm: NLH – Solo Guitar! 7pm: SEAN ALI – Solo Contrabass!